S0 galaxies are highly flattened, disk-shaped stellar systems lacking spiral arms. They were added to the Hubble Sequence of galaxy types in 1936, in Hubble's book, "The Realm of the Nebulae," in order to bridge the "catastrophic" gap between spiral and elliptical galaxies. Since that time, S0 galaxies have been the subject of intense research to determine their origin. 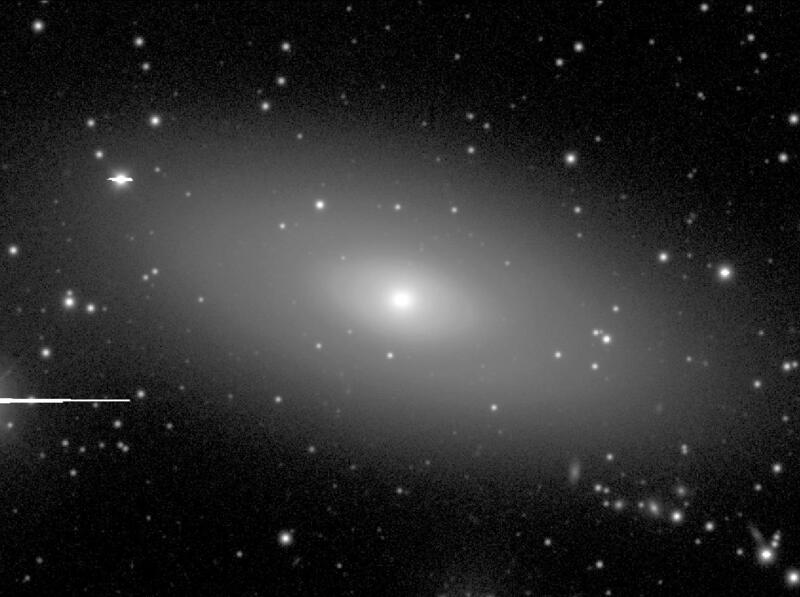 The Near-Infrared S0 Survey (NIRS0S) is a major project designed to try and unravel the possible connection between spirals and S0s using properties of the bulges, disks, and bars in S0 galaxies as compared to spirals. The team consists of Drs. Eija Laurikainen and Heikki Salo (University of Oulu), Dr. Johan Knapen (Institute of Astronomy, Canary Islands), and myself. The websites at right summarize some of the papers published from the survey and some of the results obtained. NGC 2784 is a typical S0 galaxy. The distribution of bar strengths in S0 galaxies as compared to spirals.